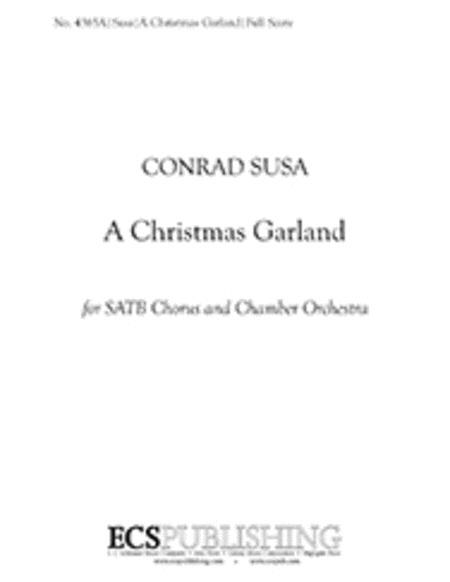 Composed by Conrad Susa (1935-). Christmas. Full score. Published by E.C. Schirmer Publishing (EC.4365A). Keyboards with Percussion Group includes: piano, harp, percussion, and organ. Brass Chamber Ensemble includes: 2 horns 3 trumpets, 3 trombones, 1 timpani, 2 percussion, harp, and keyboard/organ. Chamber Orchestra includes: flute, oboe, clarinet, bassoon, 2 horns, 2 trumpets, trombone, timpani, percussion I and II, harp, piano, organ, and strings (5-4-3-3-1 min). Brass Full score and parts and Orchestral parts available for rental from the publisher.